Aussie Federal Police in PNG. A GROUP of Australian Federal Police officers is in the country to help their local counterparts in their work, amid concerns that the visiting officers will be unarmed and unprotected. The first group of 30 officers led by AFP Commissioner Tony Negus was welcomed by Police Commissioner Tom Kulunga and senior officers in Port Moresby yesterday. Another 20 will arrive next month in what is code-named Operation Copperplate. The 50 officers will be working in an advisory role to the Papua New Guinea police force. AFP Association chief executive officer Dennis Gellatly told Radio Australia yesterday his members were worried they were being placed at unnecessary risk. The association, which the officers are members of, said some of its members feared the high visibility roles, combined with a lack of powers, will make them an easy target. A similar deployment was withdrawn in 2005 when a constitutional challenge eroded any immunity Australian officers had against prosecution in the country. So this time the AFP said its officers would only be there to watch and offer advice. The AFP Association has opposed any further policing involvement until PNG grants immunity to Australian police and changes its stance on the death penalty. “That sort of thing in our view would be a very outside chance – that our members might be subject to some sort of prosecution where the death penalty might be a result,” Gellatly said. The arrangement is under phase four of the Papua New Guinea-Australia policing partnership. The Australian officers’ main role is to provide frontline advisory support to the local constabulary and strengthen its ability to deliver effective and visible policing services. The officers will work together to enforce capabilities in areas, including public safety, station management and supervision,community liaison and engagement, traffic operations, criminal investigation and sexual offences. 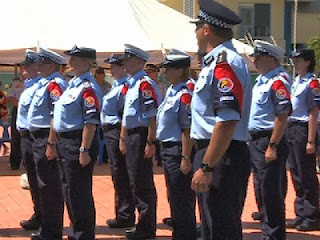 The deployment of the AFP officers to PNG was agreed to by former Australian prime minister Kevin Rudd and his counterpart, Peter O’Neill in July.